French Riviera yacht charters are where you meet the rich, the famous, the hangers-on and the wannabees. Start your charter in St. Tropez and run coastwise to Nice and Monaco or across the 80 mile stretch to Corsica and Sardinia although this latter destination is more suitable for 10 days or more. Lovely area to travel in, a lot of local traffic, mostly mega-yachts and lots of sailboat racing, lovely beaches and lovely people. Best time of year is of course late spring, summer and early fall. 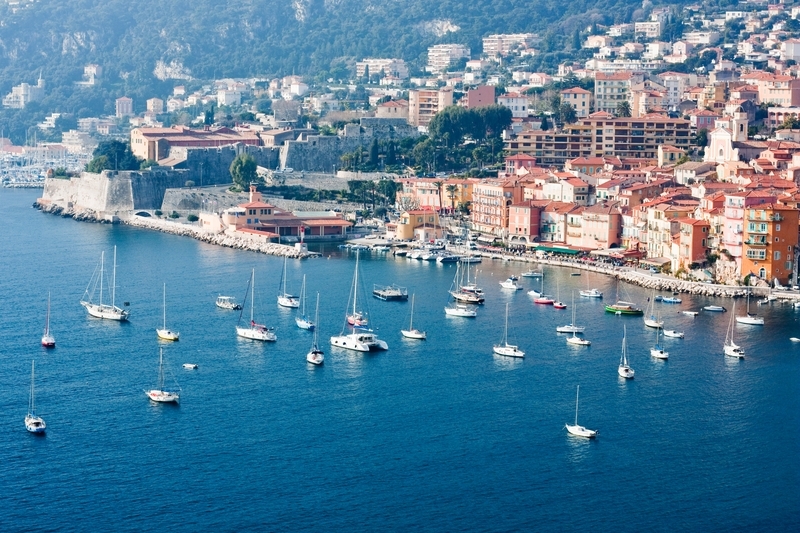 July and August are crowded and it seems like all of Europe has converged on the French Riviera. By chartering your luxury motor or sailing yacht in late June and early September, you can avoid the rush and expect better pricing as well. Nevertheless, the Riviera IS the Riviera, so the pricing at any time of year is not for the faint-hearted. If you are a motor racing enthusiast, remember that the Monaco Formula 1 Grand Prix in late May, is a great way to start or end your Mediterranean yacht charter trip. We can usually obtain dockage in Monaco, again, not for the faint-hearted. Then there is the Cannes Film Festival that also takes place in late May so you can kill two birds with one stone. This region can get quite windy in summer, so don’t expect dead calm especially in mid-summer. In spite of the classic destination cities of St. Tropez, Nice and Monaco, there are plenty of small villages along the way where you can tie up or anchor out. If you eat ashore in the evenings, the food is quite remarkable. If you have any questions about our French Riviera Yacht Charter offerings call us at (877) 759-8263 or contact us by email today.